KISSIMMEE, Fla. - More people all over the state of Florida every year are choosing to invest in their personal safety by purchasing firearms and getting their concealed weapons permits. When the program was first started in 1988, 32,814 permits were issued. At the end of the 2018 fiscal year, 1,927,724 people across the state had valid licenses to concealed carry. According to the Florida Department of Agriculture, as of Jan. 31, at least 370,816 of those people live in Central Florida. But the problem is, experts say having a permit doesn't necessarily mean you're proficient with a firearm or even know how to safely handle it. That's because even if you take a concealed carry permit class, not all classes are created equal. 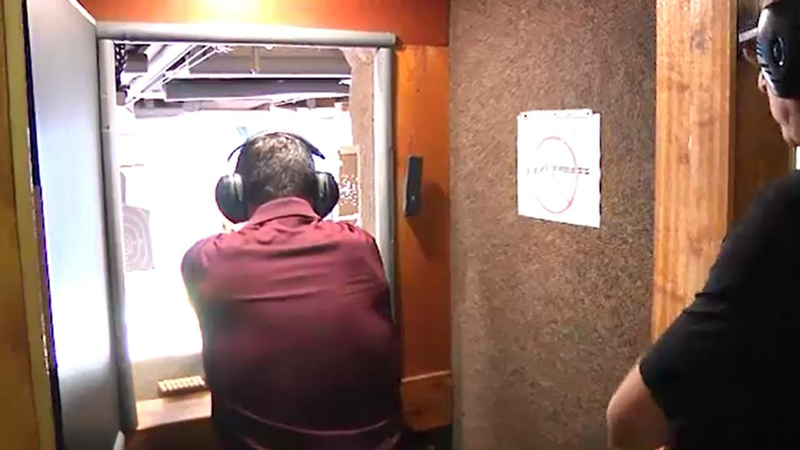 Trooper Steve Montiero said that as a law enforcement officer, his top priority is safety, so he took a News 6 executive producer to see what a quality class entails. John Lassiter has been a firearms instructor at Addison's Gun Shop in Kissimmee for nearly 30 years. In that time, he said, he believes he has taught firearm safety to anywhere from 3,000 to 5,000 people. It all started once he realized that not every concealed carry class focuses on safety. "A gentleman comes in with a concealed weapons permit, pulls it out and shows it to me and says, 'I'd like to see one of those guns there,'" Lassiter said. "So I pulled out a simple five-shot revolver, open the cylinder up and hand it to him clean. And he said, 'How did you do that?' He had a concealed weapons license and didn't know how to open up a five-shot revolver to see if it was safe or not." When News 6 looked up several different classes offered in Central Florida, we found there don't seem to be many standards. The Department of Agriculture only requires that you submit proof of competency with a firearm to qualify. To do that, you need a certificate of completion from a hunter safety course, a safety and training course for law enforcement officers or a course taught by an instructor certified by the National Rifle Association, the Criminal Justice Standards and Training Commission or the Florida Department of Agriculture and Consumer Services. But we couldn't find any specifics from the department on what that class must contain. Class descriptions from different places vary. Some say you must already be proficient with a firearm, others such as Lassiter's, say they teach safety from the ground up. Classes can vary in length and price. Some let you take portions online. The amount of range time can vary. The list of differences goes on. Checking reviews on classes reveals discrepancies, too. People said some classes consist of a movie and five minutes on the range. Others wrote that they had a comprehensive discussion with an instructor with a full demonstration of how firearms work before taking to the range. So the bottom line is, depending on your level of proficiency, you're going to want to make sure you find a class that really teaches you what you need to know to stay safe. 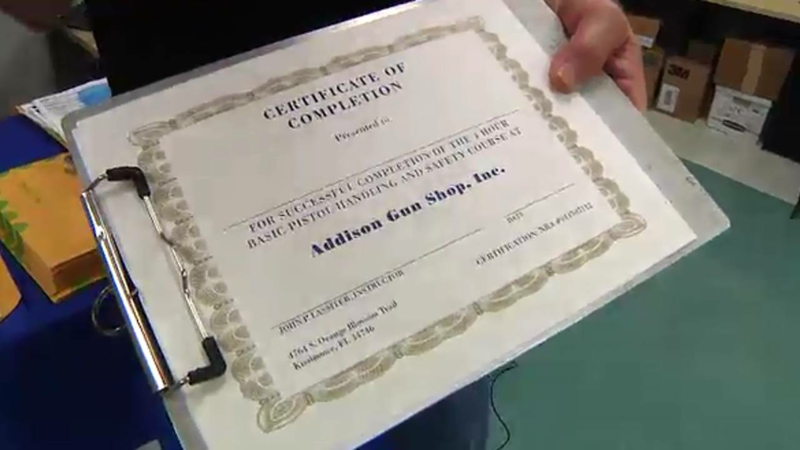 A quick and easy class may be for you if you're already an experienced gun owner. But if you're completely new to gun ownership, you may prefer a class that goes into more detail. Lassiter said the No. 1 thing he teaches is safety. "I'm going to have 15 to 20 people from all walks of life, all different experience with guns, no experience with guns, everything else," Lassiter said. "Either they've never shot a gun, they've touched a gun, they've shot a 12-gauge shotgun, it hurts them so now they're scared of guns. They've had a bad experience, they've read something, something bad with a gun or firearm has happened in their family's history or whatever, so that's all out there." Lassiter says he makes sure to cover the basics: how to buy a gun, firearm-related laws and restrictions, safe storage and other necessary beginner's tips. "People take it for granted 'cause we're around guns, that they should know this. They don't," Lassiter said. Lassiter said if you follow those three rules, you're golden. He said a lot of people come into the class saying they don't want to carry a loaded gun. 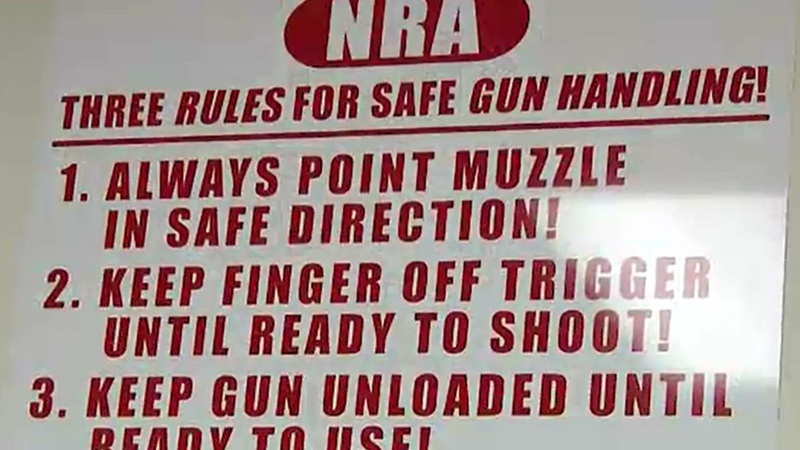 He pointed out that, if you wait until there's an emergency to load your gun, it may be too late and, as long as you're following the rules, you won't have a problem. "Average protection shot -- and I'm not talking about law enforcement, I'm talking about the average individual -- is about 7 foot," Lassiter said. "People think they're going to take out an unloaded gun, and they're going to let that person 7 feet away watch them as they pull an unloaded gun out, load the gun, track the sight or whatever and then protect themself. It ain't happening." Once all the provisions of the concealed carry license and safety are discussed, Lassiter shows the class how to handle an unloaded gun. Of particular importance is how you check to be sure a revolver or pistol is safe, meaning whether it's loaded when it's handed to you, and how to be sure you're never pointing a gun at anyone. When it's time to head out to the range, Lassiter is with you every step of the way, making sure you understand exactly what to do and how to do so safely. The key words are: finger off the trigger. "We're creating that muscle memory, where that trigger finger should be when you're on the target, where it shouldn't be when you're off the target, which is off the trigger every time," Lassiter said. Lassiter said his goal is to make people comfortable and to educate them on safety to help take away some of their fears. "I have a customer that comes in that's scared. By the first hour, their face is starting to get unscared. By the time I go out in the range, they got their interest in it. They're shooting well. They're smiling, (saying) 'I didn't know I could do it,'" Lassiter said. "The biggest thrill I get is someone that comes from ground zero to shooting a gun well. They're smiling. They got their safety in gear. It's just great." So how do you figure out which class is going to be best for you? Lassiter said you'll want to make sure you're not going by price but instead going by the content of the class. You'll want to look for a focus on safety, education and information on what you need to know about what you can and cannot do with a concealed weapons license in the state of Florida. 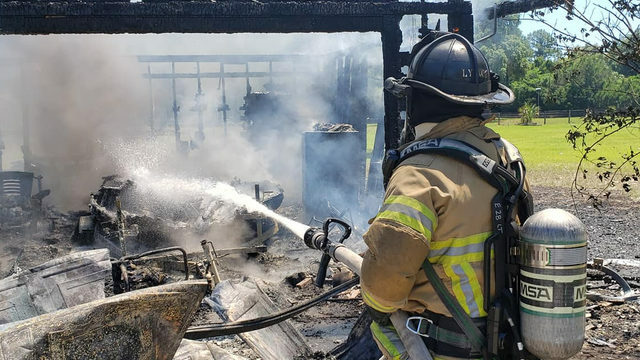 "Our goal also for you is when you get done today that you have the safety needed for you to continue, because you can't get everything in four hours," Lassiter said. "You're not going to be ready for the Olympic shooting team this afternoon, but hopefully we'll get you started." The single most important thing to look for in a class is range time, he said. "I'm talking about real range time with real instructors, going step by step showing you what they want, not just throwing you a box of shells and a gun and saying, 'OK, can you get a couple rounds down range? That'll work.' No, we want it done right," Lassiter said. He stressed that education shouldn't stop once the class is over. "I encourage them to put together everything we did on that range and to get back to a range quickly," Lassiter said. "People are terrible about going to the range. They get excited, start carving out their skills, you know, and then they quit and they don't get back to the range. The same person will buy a gun for self-protection, go put it in their nightstand and that thing will sit there for 10 years. Never look at it, never shoot it. That's my biggest thing: If you're going to do it, do it right. Keep honing your skills. Get better, keep your safety together." Lassiter said there are some misconceptions when it comes to gun ownership. For starters, he said, most people who have a concealed carry license don't actually carry a weapon that often. "I would say way, way under 50 percent of them carry more than a couple of times a month, actually," Lassiter said. "There's not as many full-time carriers as people think." He said that, a lot of the time, that's because there aren't many comfortable places to carry concealed and your gun really shouldn't be out of its holster unless you're using it. "I've programmed myself. My gun's never going to come out of my holster unless I'm going to use it and I think that's something people got to understand," said Lassiter. "I've been hearing this warning shot thing. It's driving me nuts. I don't know why people think they can pull a gun out and shoot a warning shot. It's so against the law and it's such a dangerous thing to do. You can shoot some kid running behind because you're shooting a warning shot or shooting in the air. The bullet has to come down. Lassiter saidyou have to be able to act without emotion. "If you're that person that, every time someone cuts them off in this miserable traffic around here, you feel like you need to reach in your console and get a gun, this ain't for you, dude. This ain't for you," Lassiter said. "If you don't have a cool mind, it's not going to work. Where people have started an argument and used a gun to finish it, again, that's not the reason the state of Florida has given you the right to carry a gun." Lassiter says he's a long-time gun owner but has never pointed his firearm at anyone. "I hear a lot of bad, negative things about gun owners and I want everybody I come in contact with to be a safe gun owner, a responsible gun owner," Lassiter said. You don't walk out of the class with your permit. You get a certificate, which needs to be taken to a field office or mailed to Tallahassee along with your completed application, fingerprints, passport photo and $97 fee, plus possible fees depending upon where you submit the application. The permit process can take up to 90 days, but the Department of Agriculture says the turnaround time is typically closer to 50 to 55 days. The license is good for seven years, and then it's another $45 to renew, plus possible fees depending upon where you submit the application. There are places, by law, that you cannot bring a firearm, even if you have a concealed weapons license. Some of those include, but are not limited to, polling places, courthouses, detention facilities and schools. Once you have a concealed weapons permit, you no longer have a three-day waiting period when you purchase a firearm. If you do not have a permit, you are required to wait three days, not including weekends or holidays. You still undergo a background check through the Florida Department of Law Enforcement when you purchase a firearm, even if you have a permit. You must be at least 21 years old to get your permit.